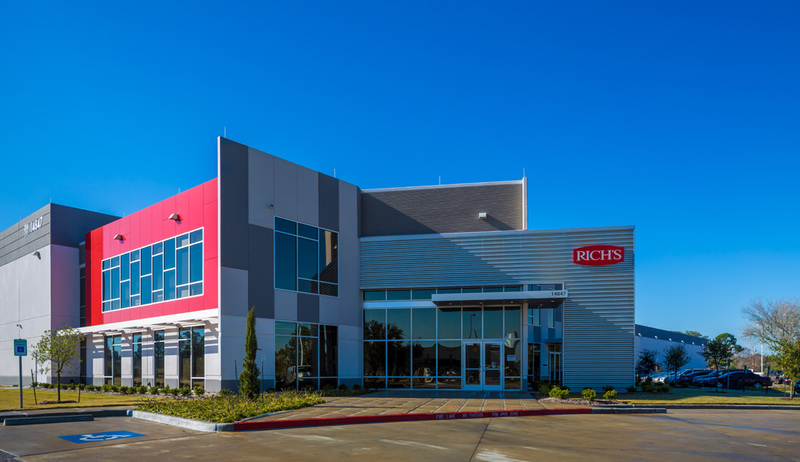 The Rich Products’ new state-of-the-art frozen dessert processing center is located in Missouri City, Texas. 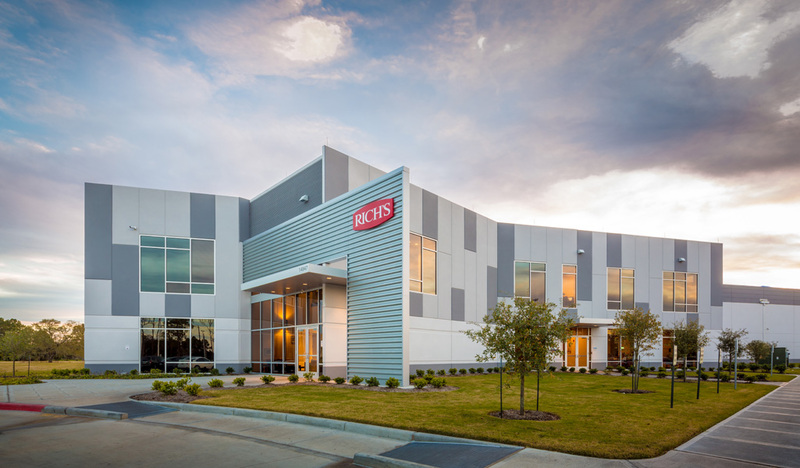 This 192,000 square-foot facility was designed as a Build-to-Suit, to include the latest in food safety designs for production, storage and packaging. 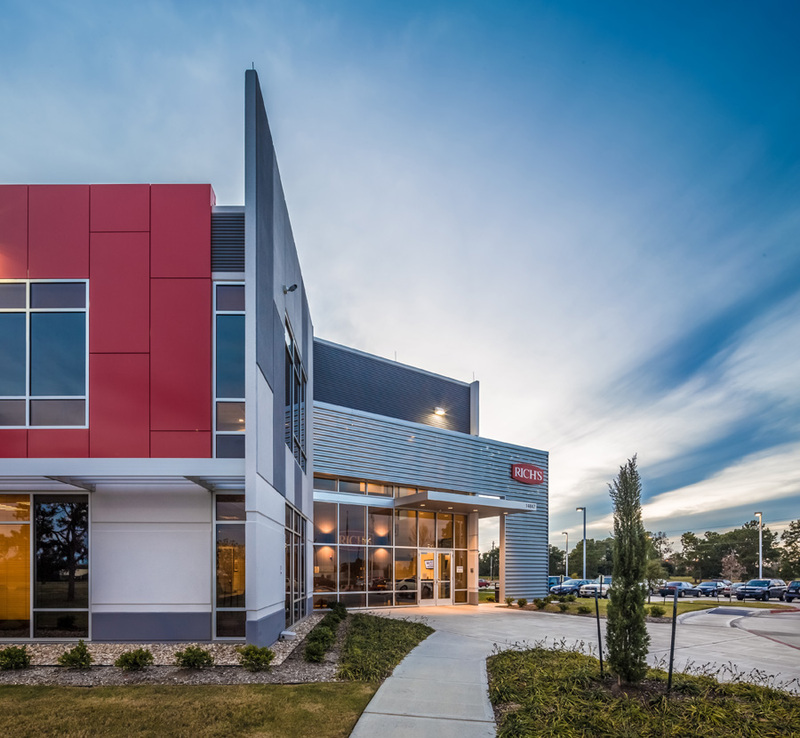 The Lakeview Business Center acreage proved to be an interesting site choice as the development is positioned on a former golf course. During the course of grading the site, the contractor exposed a large number of golf balls. Proving no that golf ball stays missing forever. 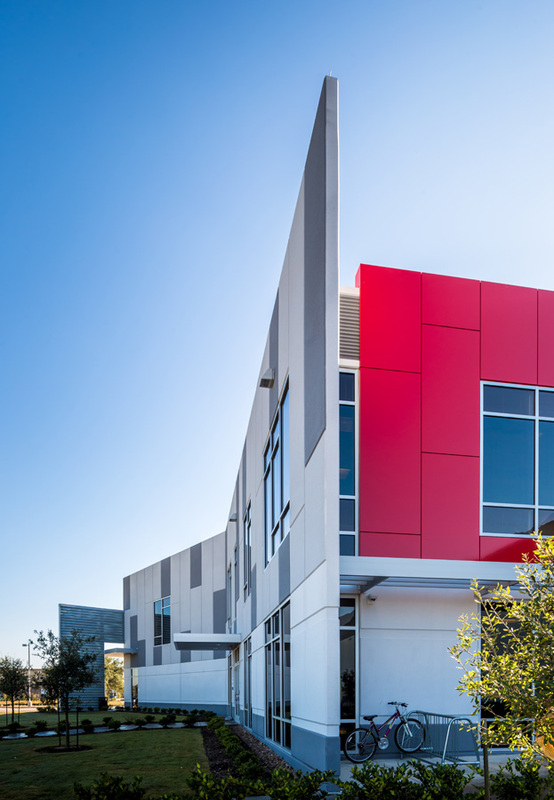 The site provided not only a comical element in the construction process, it also influenced the building’s design. 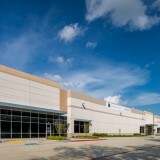 To meet Owner approval, as well as Lakeview Business Park and the Missouri City Design and Zoning Departments specifications, the building exterior reflects the design guidelines of each inanity. 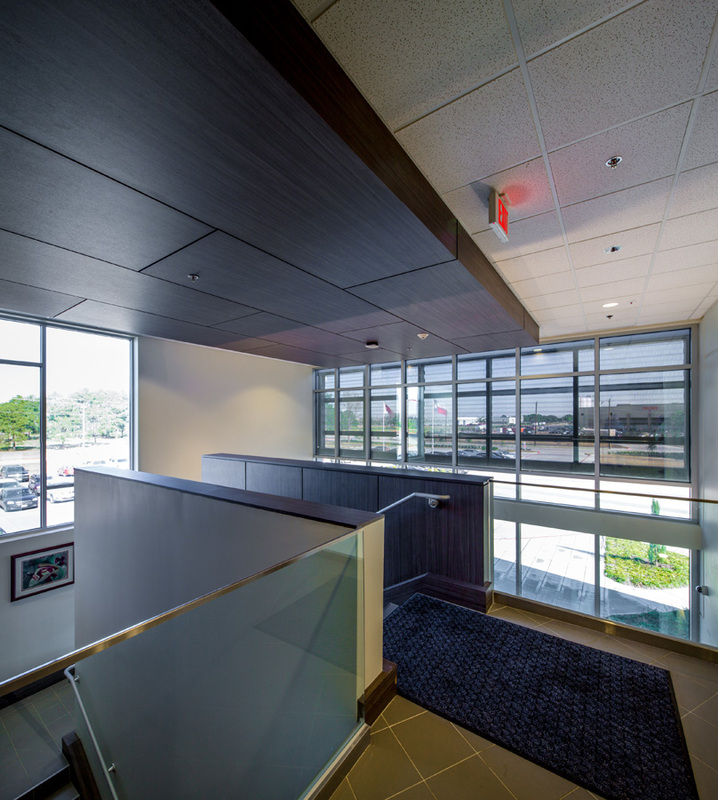 Seeberger Architecture created a two story tiltwall structure with curtain wall lobby and stairwell. Perforated metal paneling was placed at the main entrance as a sun screen to protect the Lobby from direct sunlight. 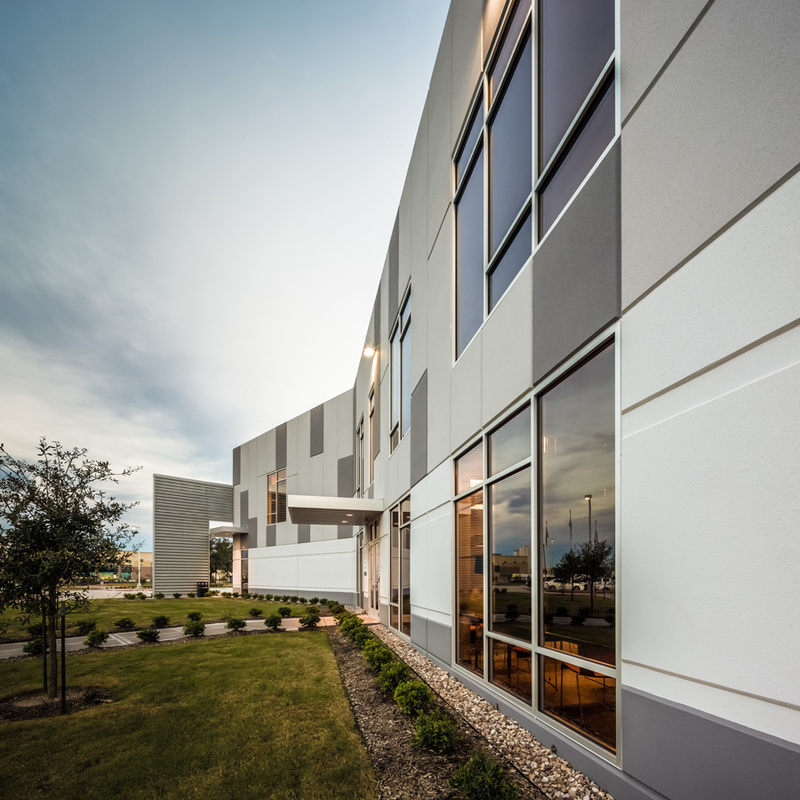 Tiltwall panels where constructed with reveal and texture elements to reflect the modular insulated wall panels used throughout the facility. 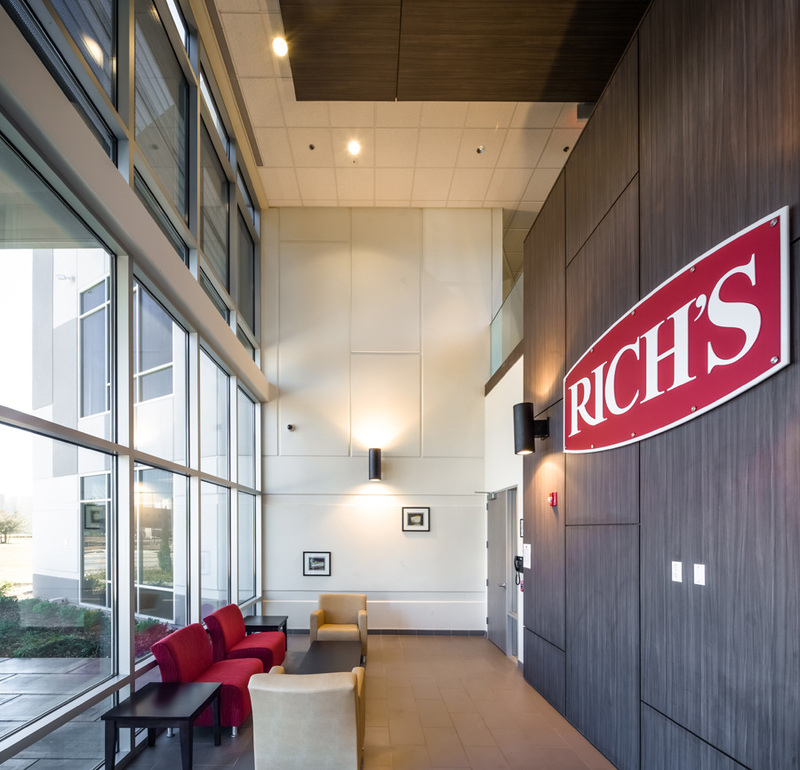 Red aluminum panels were implemented to reflect Rich’s branding and logo. 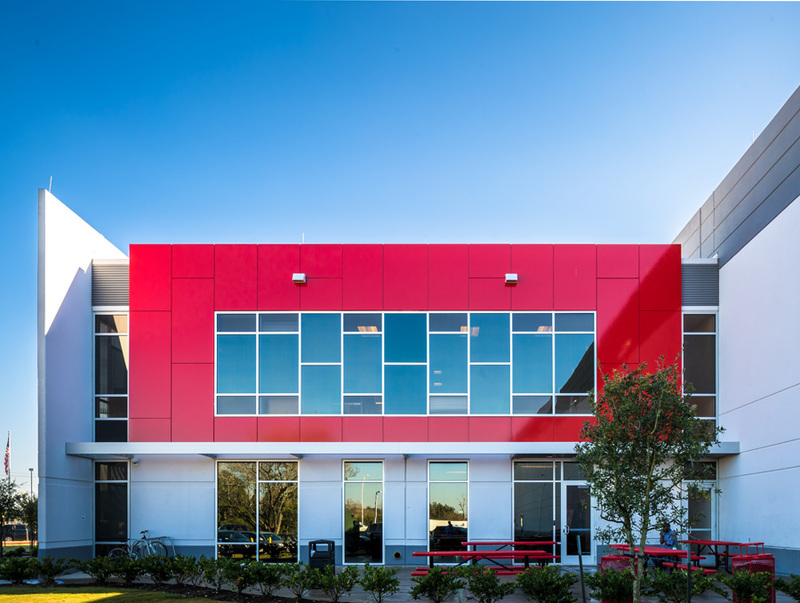 The layout of the plant building portion was determined by the sequential nature of the production process and the adjacency of spaces promotes efficiency and food safety practices. 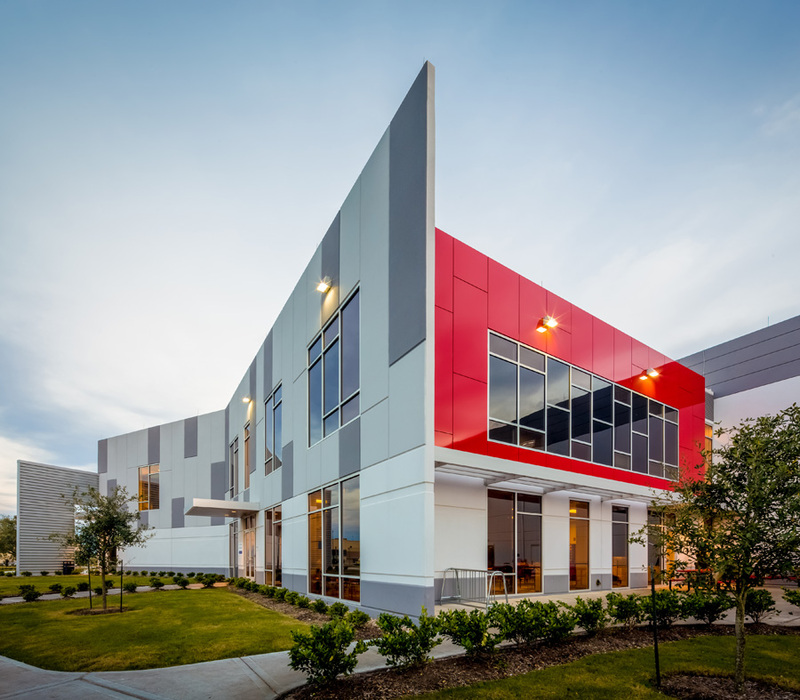 Containing seven sections for food preparation, baking, flash freezing, packaging, storage, distribution and utensils sterilization, the facility is a complete production center. 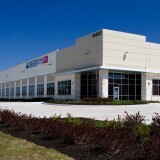 Each section was built to U.S. Department of Agriculture specifications. The facility houses thirty different temperature zones with such extremes as 360°F in the production ovens and -20°F at the blast freezer. 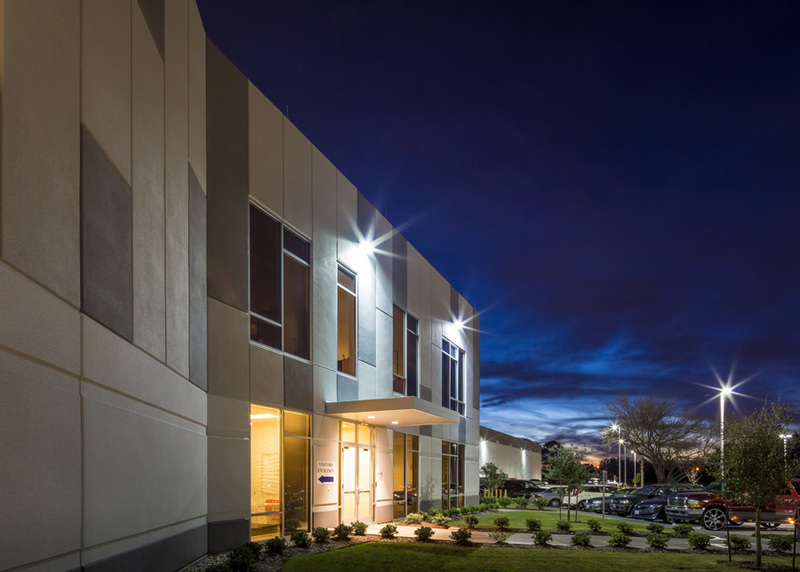 Temperature control and regulation were important considerations in the building’s design; each staging section needs to maintain a certain temperature to meet FDA regulations. 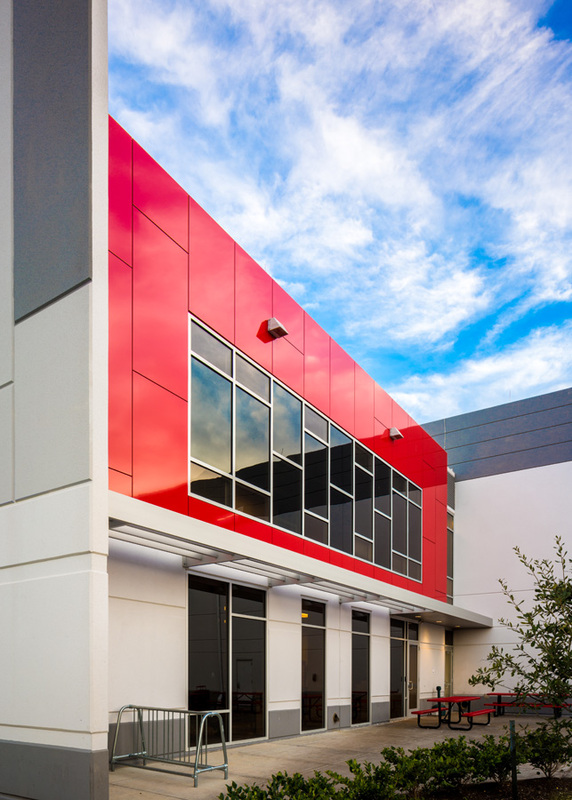 In order to satisfy the extensive Owner requirements as well as food processing regulations, an advanced insulated wall panel enclosure was installed to ensure temperature regulation within each department. 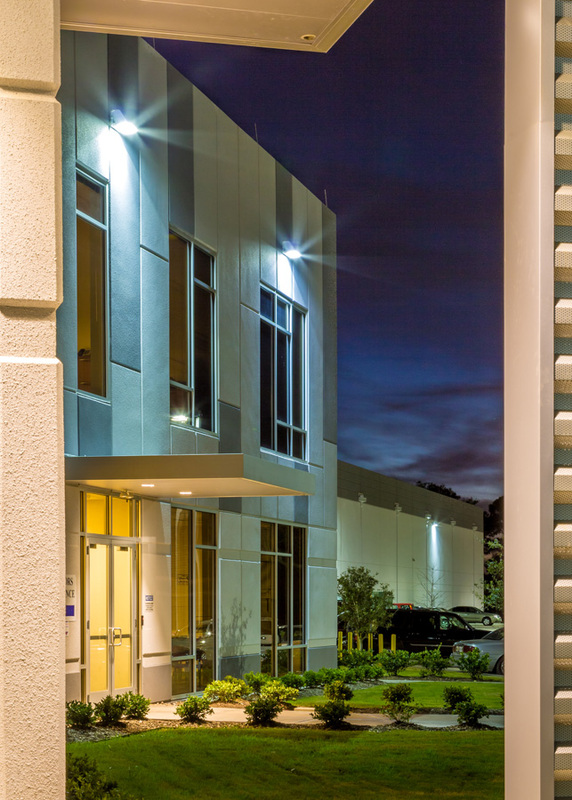 HCR doorways where installed to allow employees and products to move freely and efficiently through the facility, while preserving the environmental qualities required for production. In addition to the insulated systems required for the design of extreme environments, radiant flooring systems were incorporated in the blast and freezer storage areas. In such areas where temperature can reach -20°F these systems are necessary to protect the integrity of the building foundation. 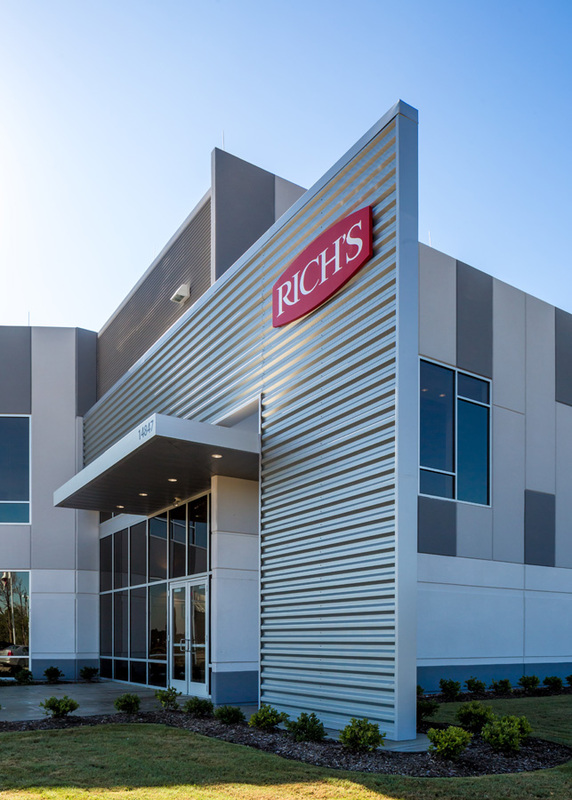 With a strong focus on food safety and efficient practices, the facility includes zoned lighting, motion sensors, rapid roll doors, and employee wash stations.